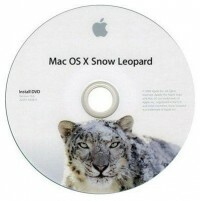 Based on Apple’s “Snow Leopard Enhancements and Refinements” page, we have some nice stuff to look forward to in Mac OS X 10.6. Here’s a quick list of what matters most to me. Rewritten Finder. Finally, after all these years, Apple has rewritten the Finder, in Cocoa. They’ve been telling everyone else to use Cocoa for years and finally Apple’s doing it themselves. This will make the Finder faster. Yay. More info in the Airport Menu. Now you can tell which signal is the strongest, so when you are “borrowing” internet from the neighbors you’ll know which neighbor to borrow from. Automatic updating of printer drivers! Hallelujah. I really hope this works. I’ve seen enough of HP’s “Support & Drivers” page to last a lifetime. Automatic text substitution. This is the thing that turns “teh” into “the” and “recieve” into “receive” in Microsoft Word, Entourage, etc. Now it will work in Mac programs such as Mail, iCal, and who knows where else. This will speed up your typing. Mine too. Better iChat reliability and other iChat improvements. I love this one. We use iChat to provide screen-sharing remote support, and when it works, it’s great– and now it’s going to work more often. Super. Faster/better Mail program. It’s supposed to be faster at everything: faster to launch, faster to display the contents of a folder, faster to search, faster to move messages. Microsoft Exchange compatibility. If your workplace has an Exchange server, this matters a lot to you. Otherwise, no. Basically it lets you use Mail, iCal, and Apple’s Address book on your Mac rather than Outlook on a PC. A much better solution than Entourage, by the way. Faster in almost every way. That’s a good thing. Date in the menu bar! I can’t believe it took this long. This is my list in advance of actually having the software installed. Let’s see whether I come up with a different list once it’s installed.